I am Lecturer at the Department of Computing at Imperial College London. I am heading the human-in-the-loop computing group and I am one of four academics leading the Biomedical Image Analysis, BioMedIA collaboratory. I co-create intensively with King’s College London, Division of Imaging Sciences and Biomedical Engineering, St. Thomas Hospital London and the department of Bioengineering at Imperial. I am scientific adviser for ThinkSono Ltd.
My research is about interactive algorithms in healthcare, especially Medical Imaging. I am working on self-driving medical image acquisition that can guide human operators in real-time during diagnostics. Artificial Intelligence is currently used as a blanket term to describe research in these areas. Can we democratize rare healthcare expertise through Machine Learning, providing guidance in real-time applications and second reader expertise in retrospective analysis? Can we develop normative learning from large populations leading to mental modelling and outlier rejection that mimics human decision making? Can we provide human interpretability of machine decision making to support the ‘right for explanation’ in healthcare? 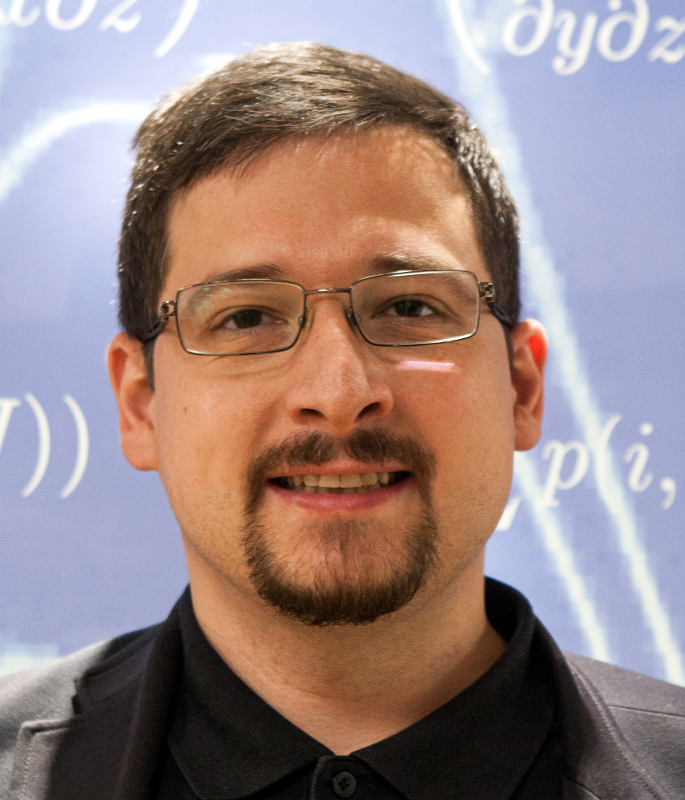 My teaching is focused on real-time computing, Machine Learning, Image Analysis, Computer Graphics and Visualisation. For my research I am using Nvidia and Intel hardware (thank you for the donations!) and lucidchart (thanks for the free pro account!). I am currently looking for further PhD students who are interested in working on human interpretable machine learning and efficient medical image processing topics for deep learning applications. If you are interested in applying for a PhD position in my group you can apply through the Imperial College PhD online appplication system. The 3rd international workshop on Reconstruction and Analysis of Moving Body Organs was held in conjunction with MICCAI’18 in Granada, Spain. We had an exciting programme with two top keynote speakers (Dr Leo Grady: Senior Vice President of Engineering at HeartFlow and Dr. Elisenda Eixarch: Consultant and Associate Professor, Fetal and Perinatal Medicine Research Group, Hospital Clínic de Barcelona). Proceedings have been printed by Springer. Granada, Spain, 16 September 2018!! Ever wondered how the human brain works? 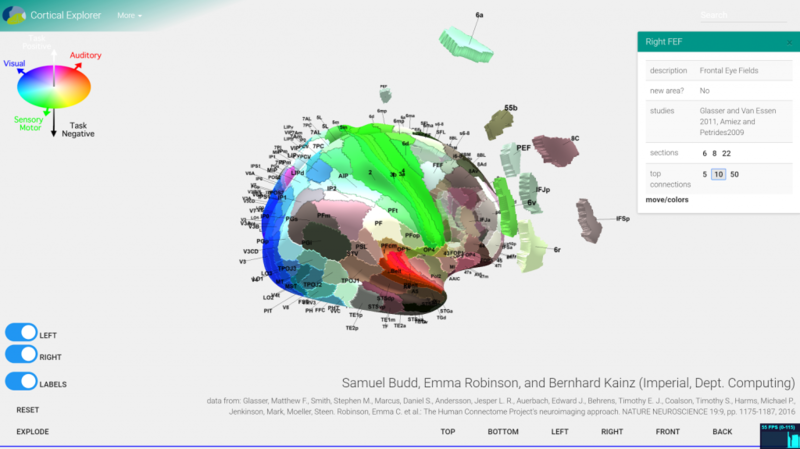 Check out the Cortical Explorer by Sam Budd (Imperial MEng. final year student). An early prototype Service-Oriented Architecture for cortical parcellation evaluation with multi-device, distributed front-end, i.e., a browser. The various ways to navigate through our human brain map attracted a large crowd at the Imperial Intelligence redesigned Fringe on January 18th 2018. The cortical explorer currently also features on the touch screen at the front of the Data Science Institute. The 2nd international workshop on Reconstruction and Analysis of Moving Body Organs was held in conjunction with MICCAI’17 in Quebec, Canada. We had an exciting programme! Proceedings are available from Springer. We successfully organized a workshop about motion modelling in medical imaging in conjunction with MICCAI 2016. The 1st International Workshop on Reconstruction and Analysis of Moving Body Organs (RAMBO) 2016, was held in Athens, Greece on the morning of 17th October 2016. This workshop targeted researchers for whom the effects of motion are critical in image analysis or visualization. Proceedings are available from Springer. Fetal movements are an important indicator of a developing baby’s health and particularly of brain development. However, fetal movements are not commonly assessed clinically and no automated tracking or analyses of movements are performed. Ongoing research in our group has developed algorithms to track fetal leg movements, and pilot data indicates that aspects of fetal movements may correlate with healthy or unhealthy brain development. This project will build upon previous projects to develop enhanced automated tracking methods for fetal movements from fetal cine MRI data, and correlate the movements with normal and abnormal brain development. This project offers a valuable opportunity to work on a highly interdisciplinary project, with close collaboration with clinicians. This project is researched in close collaboration with Dr Niamh Nowlan from the Department of Bioengineering at Imperial. New technologies that allow scanning to be carried out with multiple ultrasound probes (the device which takes the ultrasound picture) at the same time which have better imaging capabilities and move automatically to the right place to get the best pictures of the whole baby. Improved fetal ultrasound imaging through automated image processing. By combining conventional ultrasound imaging from routine scans with more detailed MRI we will build a map of fetal anatomy to use for computer assisted diagnosis of fetal anomalies. These advances should mean a high quality scanning service across the country which is not dependent on local expertise, and fewer babies who have major problems will be missed. The aim is to develop and apply methods for quantitative Magnetic Resonance relaxometry and perfusion assessment in the fetal brain to create a comprehensive capability to measure key parameters in the presence of fetal motion. Conventional Magnetic Resonance Imaging (MRI) results in subject and scanner dependent signals rather than absolute measures. Relaxometry allows scanner and sequence independent unbiased signal maps to be obtained, which have the potential to provide a more objective readout. 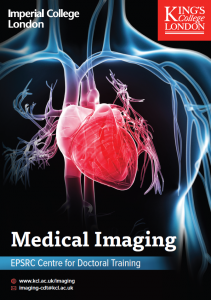 A complementary type of quantitative imaging focuses on functional measures rather than static tissue relaxation properties. One such measure focuses on tissue perfusion, which is rate of blood flow through unit mass of tissue within the micro-vasculature. MRI can be used to quantify perfusion, providing critical information that can be used both for scientific studies and for clinical care. Quantitative imaging requires the combination of multiple measurements at each tissue location, which is a major challenge in the presence of fetal motion. F.A.U.S.T dealt with reconstruction of fetal Magnetic Resonance Imaging (MRI) data that are taken directly from the female uterus. MRI is a harmless imaging procedure, which does not use any radiation or other invasive procedures to get the images. However, the fetus is awake and will move around during the images are taken. This is where my colleges and I come into play. We try to reconstruct the fetus in 3D as if it would not move. Furthermore, I'll try to evaluated these steps for their reliability and I researched methods that allow a doctor to draw conclusions on the reliability of each part of the resulting images. ClinicIMPPACT is an European FP7 ICT-Project started on 01.02.2014 with the end on 31.01.2017 . The main objective of the project is to bring the existing radio frequency ablation (RFA) model for liver cancer treatment (Project IMPPACT , Grant No. 223877, completed in February 2012) into clinical practice. For this the project will pursue the following objectives: i) To prove and refine the RFA model in a small clinical study ii) To develop the model into a real-time patient specific RFA planning and support system for Interventional Radiologists (IR) under special consideration of their clinical work-flow needs iii) To establish a corresponding training procedure for IR's iv) To evaluate the clinical practicality and benefit of the model for use in the routine work-flow in a user survey and expert forum. GO-SMART is an European FP7 ICT-Project started on 01.04.2013 with the end on 31.03.2016. 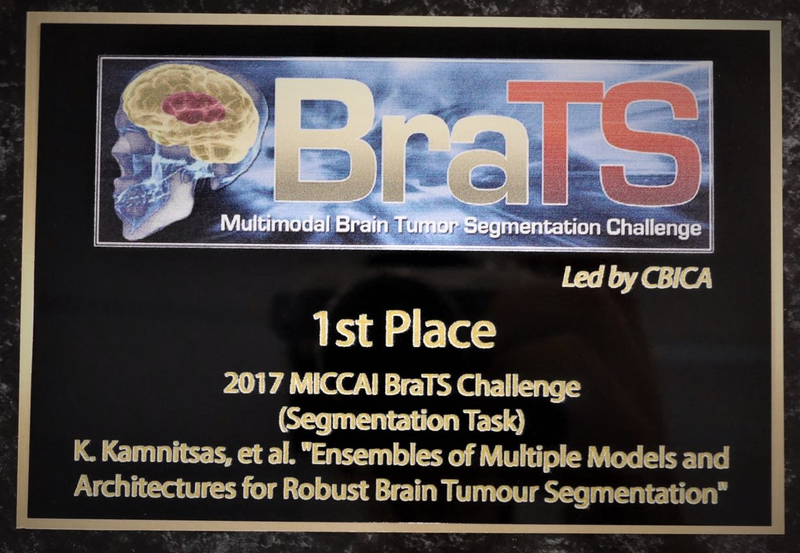 It aims to build a generic open-source software simulation environment for the planning of image guided percutaneous Minimally Invasive Cancer Treatment (MICT). The environment will allow the Interventional Radiologist (IR) to select the optimal type of MICT by simulating the personalized result of the different treatments and medical protocols in patient specific conditions.